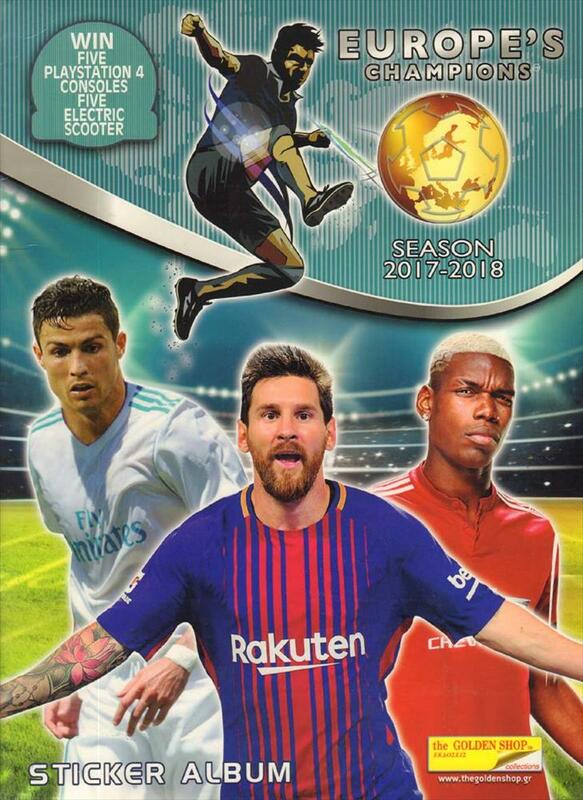 Description Very luxurious card ablum from Greece featuring the best European clubs from 2017-18. COMPLETE with its 500 stickers. 33 x 25 cms, album, 48 pages.